Hey look I'm a pickle! Pickle Rick! Perhaps the most famous moment in the history of Rick And Morty is now being enshrined forever as a pop vinyl figure from Funko. 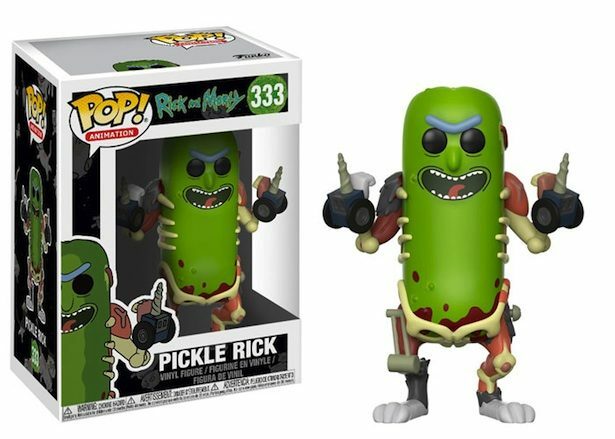 That's right you can get two variations of Rick as a Pickle from Funko in stores this December. 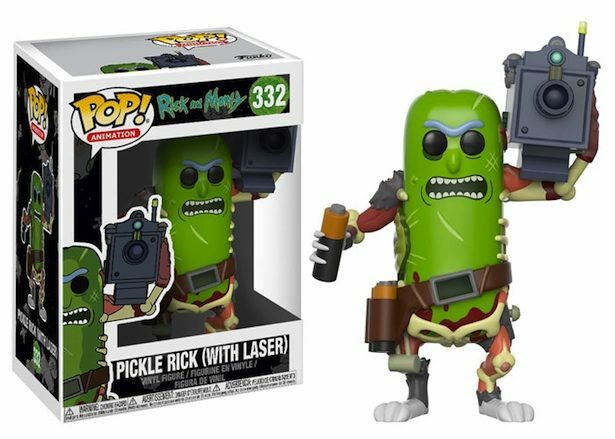 You can get the basic Pickle Rick or Pickle Rick with the laser gun. Thank the pop culture world that we have Funko so that we can get incredible pieces like this four our shelves at home! Pickle Rick's are due in stores this December!